Oil headed for its biggest monthly decline since 2008 as Russia reiterated it’s comfortable with current prices, just a week before it meets with OPEC in Vienna to discuss possible production curbs. Futures in New York fell as much as 2.2 percent. 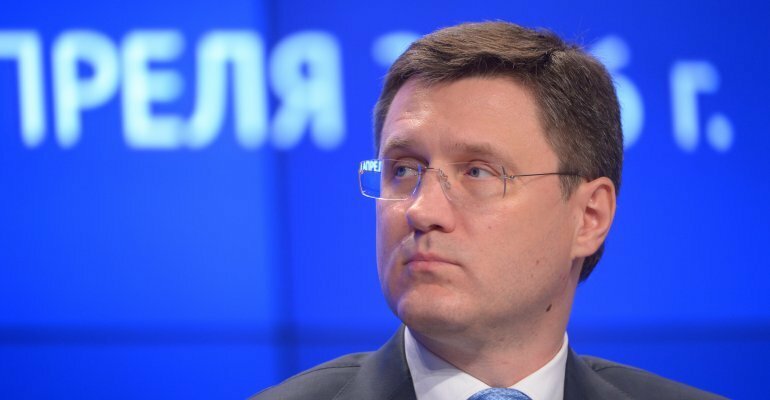 Russian Energy Minister Alexander Novak told Tass news agency that his nation’s oil output will hold steady until the end of the year, with current prices agreeable to both producers and consumers. While Russia showed a willingness to join Saudi Arabia in cutting output on Thursday, the likely outcome of OPEC’s meeting with its partners next week remains unclear as the group is under pressure from President Donald Trump to lower prices. Focus now turns to the G-20 summit over the weekend in Argentina, where some leaders will meet to discuss oil policy, though there are concerns that time is running out to secure agreement on production cuts. West Texas Intermediate for January delivery fell 70 cents to $50.75 a barrel on the New York Mercantile Exchange at 8:42 a.m. local time, taking WTI’s decline this month to 22 percent. The contract gained 2.3 percent on Thursday. Total volume traded Friday was 25 percent above the 100-day average. The U.S. benchmark’s 14-day relative strength index has flashed oversold every day this month. Brent for January settlement, which expires Friday, slid 69 cents to $58.82 a barrel on London’s ICE Futures Europe exchange, extending the month’s decline to 22 percent. The global benchmark crude traded at an $8.07 premium to WTI. The more-active February contract fell 78 cents. Earlier this week, Russian President Vladimir Putin said that crude around $60 a barrel is “ balanced and fair,” but added that Moscow is ready to cooperate with its fellow producers. The comment seemed less definitive than the Saudis’ call for a 1 million-barrel-a-day reduction by the Organization of Petroleum Exporting Countries and its allies. Russian and Saudi officials are scheduled to meet in Moscow over the weekend, signaling that an agreement on production cuts is possible if talks between Putin and Saudi Crown Prince Mohammed bin Salman in Argentina go well, according to people briefed on the discussions. Russia wants predictability and “smooth price dynamics” in crude markets, Deputy Foreign Minister Sergei Ryabkov said in Buenos Aires. Other oil-market news: The biggest snag in OPEC’s push for a consensus on cutting oil output could come from relentless growth in supply from its second-biggest producer, Iraq. The Buzzard oil field in the North Sea is expected to remain halted for at least two weeks while work on corroded pipes is carried out, according to a person familiar with the matter. Libyan oil terminals have shut amid bad weather, according to people with direct knowledge of the situation. Waves at the port of Brega were more than 2 meters (6.5 feet) high, the people said.